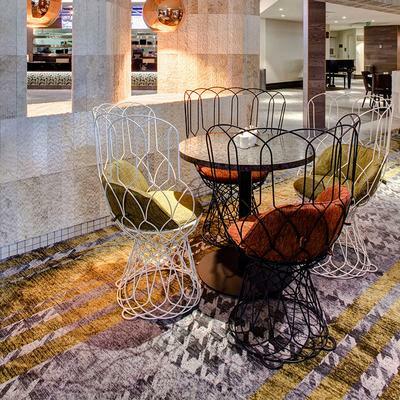 Specialist hospitality design firm Abeo Architects has excelled in its refurbishment of Ainslie Football Club in Canberra. The interior is simply stunning. 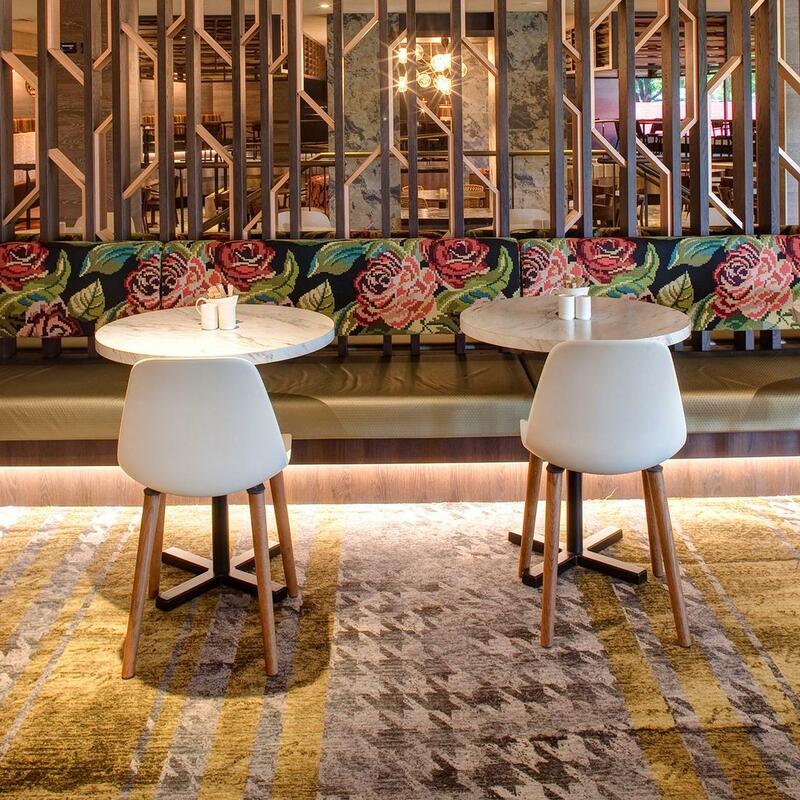 The team at Abeo has successfully created a brilliant, modern space, which thoughtfully pays homage to the football club's rich history - dating back to the 1920s. Abeo Architects engaged Brintons to join them in developing a bespoke woven flooring solution for the venue's lobby, gaming areas and new Fireside lounge and bar. The team at Abeo found inspiration in Brintons extensive textile design archive, choosing to work with patterns and textures from Brintons Novae and New Classics - High Definition Weave collections. 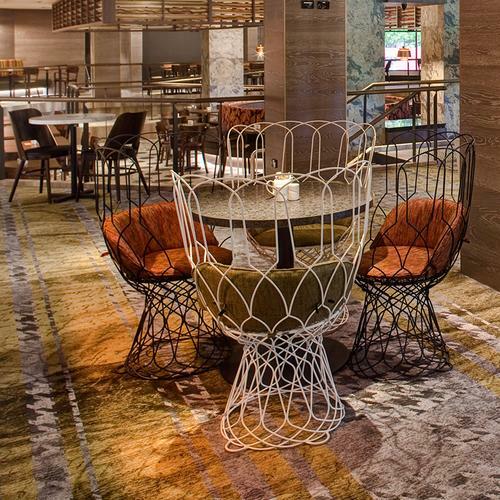 Working in collaboration with the team at Abeo, Brintons designers used textures, layers and scale to configure the carpet designs for the club's interior spaces. Colours were carefully selected to reflect and emulate the interiors decorative finishes and stonework. The resulting carpets feature a bold layering of pattern on pattern. 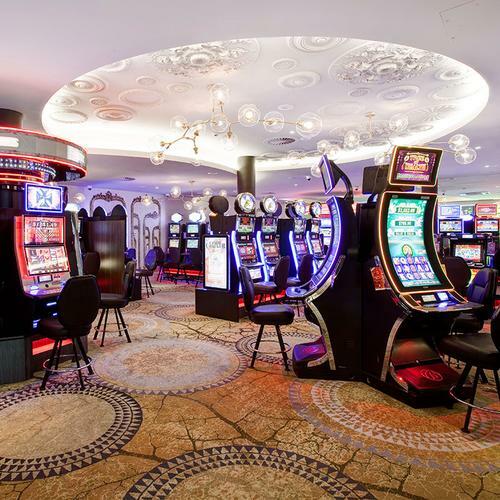 In the gaming areas a textured, cracked stone design is juxtaposed with a contemporary medallion motif. 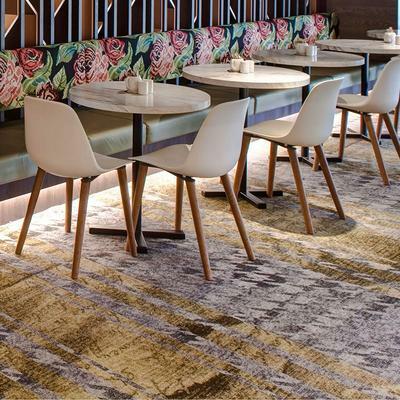 An exquisite 24 colour, high definition woven carpet, crafted for the lounge and lobby areas, sees a shimmering houndstooth appose subtle floral patterning. The effect is beautiful - a stunning example of classical meets modern. 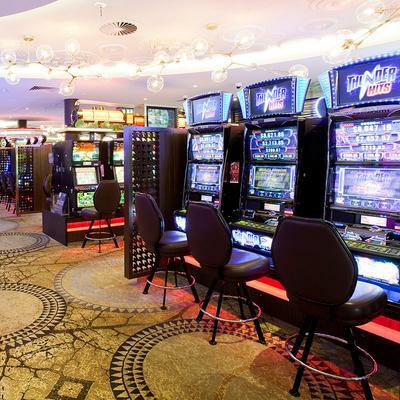 The carpets work seamlessly with the rest of the interior, creating an incredible space - warm and inviting, edgy and iconic.